Lilli and Sara met at The Circus Space degree course where they both successfully graduated after three years of specialising in aerial hoop. The combination of their work results in perfect harmony and brings out an expressive and personal style in the air. As performers they are inventive, graceful and enjoyable. 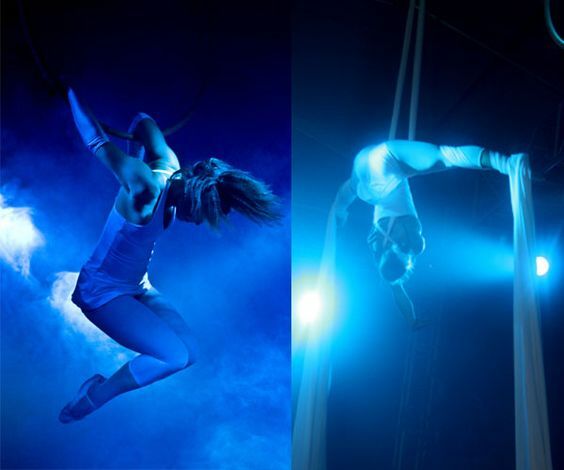 Lilli and Sara’s skills include hoop, silks, trapeze and dance-acrobatics. They are happy to create side specific performances for all kinds of themed events. Lilli and Sara are available for bookings for all types of events. They have been involved in a whole host of theatre and circus productions including the English National Opera, Harvey Nichols Restaurant, Bajazzo Street Festivals, The Sugar Beast Circus, MCS Cruise Line, Vlaamse Opera, Variety Pegasus, Universal Studios Japan and a range of corporate events and cabaret shows. Swirl is a delight to watch, full of grace, symmetry and playful moments. 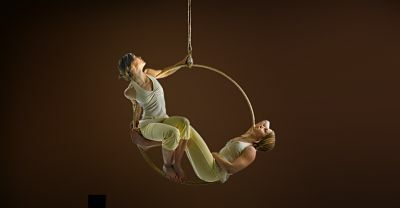 Lilli and Sara move effortlessly on their hoop, swinging and spinning through the air in synchronised and twisted shapes. The act is perfectly suitable for all kind of events and can be performed with different music and costumes to suit. Lilli and Sara create a magical atmosphere on stage. Through their emotionally strong images and their unique movement style Lilli and Sara present a mixture of theatrical harmony and stunning beauty. They lead their audience into a world filled with visual poetry and high level twists and turns. Lilli and Sara perform a synchronised aerial silks act that shows flexibility and grace in beautiful positions in the air. Lilli and Sara can perform acrobatic walk- or hangabout. They have a wide range of costumes suitable for different themed events. 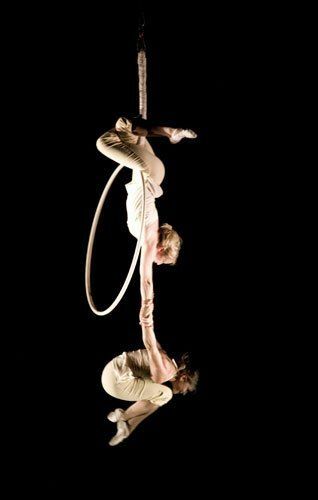 Lilli and Sara also perform solo acts which they offer in combination with the duo hoop act or as they are. Dance acrobatics: Sara cleverly merges flexibility, balance and movement entwining great style and imagination. Length: 4 min, Technical Requirements: Clean even floor space of min. 4 x 4 metres, height 2.5 metre. 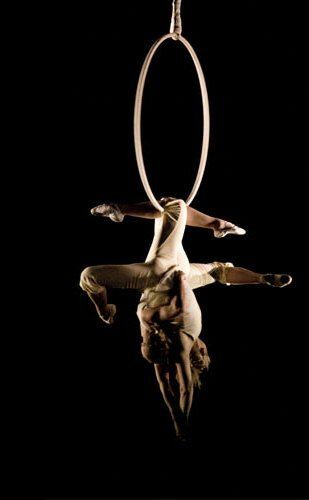 Lilli’s silks act is beautifully choreographed combining graceful poses and breath taking drops. She spellbinds her audience while effortlessly moving high up in the air. Length: 5 min, Technical Requirements: Structural rigging point, 500 kg. Minimum height: 5 metre. I have employed Sara and Lilli on several occasions and have always been reassured by the quality of their performances and the professionalism they display at every level. They are considerate of other performers and conscientious in regards to the Health & Safety aspects of their discipline. I highly recommend them for any performance context as they are also flexible and able to adapt to different conditions.